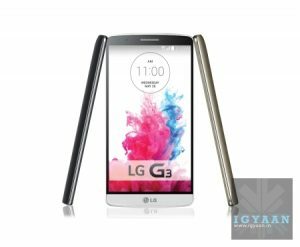 LG today officially announced the new LG G3 with most of the specs that have leaked all over the internet in the past. The new phone however, has a few tricks up its sleeve. 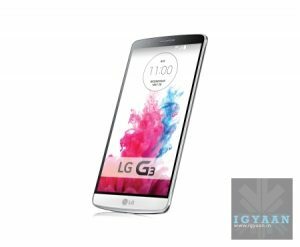 The G3 has been a design revision on the G2 with subtle changes, including a new metal-esque design (completely plastic though) and newer improved rear buttons and capabilities. The design curves out like the HTC One M8, being 2.75mm at the edges, 8.9mm at the thickest point. On the Hardware front there don’t seem to be many surprises either, powered by a Qualcomm Snapdragon 801 chipset the Quad Cores are clocked at 2.5GHz, with two variants the 2GB RAM/16GB Storage and the 3GB RAM/32GB Storage variant. Other features include a removable 3000 mAh battery and support for micro SD cards (we read upto 2 TB). LG has continued with the reduced bezel design and the large 5.5 inch phone does not feel that big thanks to the shape. 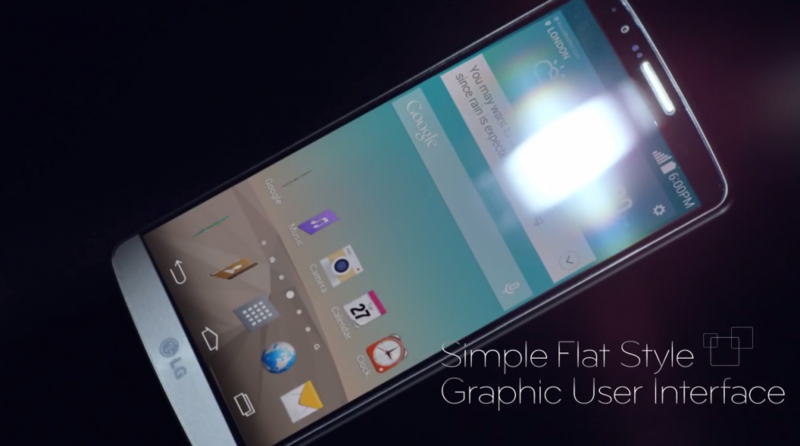 As for the front the LG G3 does actually feature the Quad HD display with 538ppi i.e. 2560 x 1440 px. The phone is equipped with wireless charging capabilities, and docks will be available separately. The optics are the key points of conversation with the handset sporting a 13 MP camera with OIS and a Laser (infrared based) focus system, which claims to be razor sharp and extremely fast. The Paint finish is also self healing like the G Flex but its not as good and the “metallic skin” on the phone will be available in five colors as of now, metallic black, silk white, shine gold, moon violet and burgundy red. 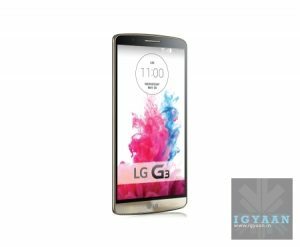 LG has made significant improvements to the interface and the access of tasks has become much smoother. 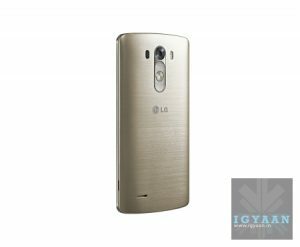 LG claims this phone is a simper handset where the time from making the decision to executing the task has been decreased. The interface has been cleaned out and there is a minimal approach everywhere including using features like the new camera. 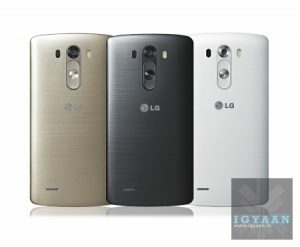 LG is expected to launch the new G3 in India in the coming month and we will get you more insights into that soon.